It’s a time to reflect and be grateful for the contributions of our military personnel. It is also the official start of summer, and time to cookout, hang out, head to the pool or lake or beach. Bittermilk offered an old fashioned mix flavored with sour cherries for the holidays. I acquired a bottle and found the flavors rich, sweet, and delightful. 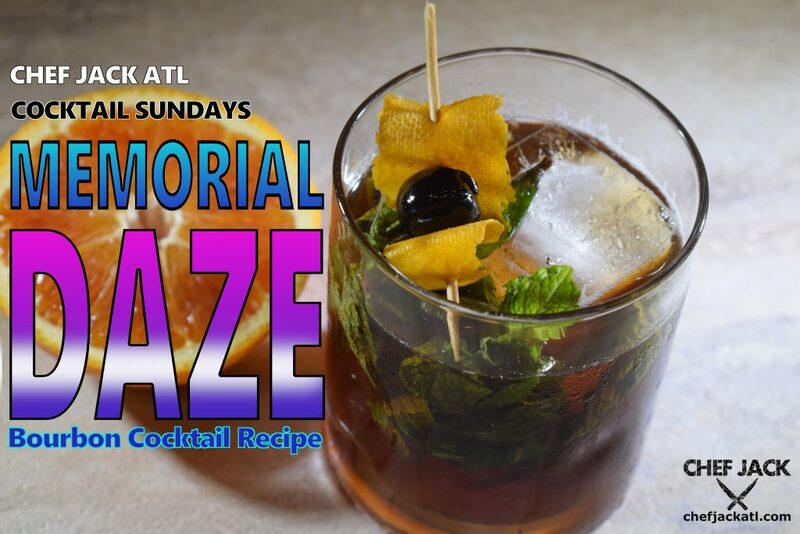 And far from being just a winter-time mix, I thought that adding some maraschino cherry syrup and fresh mint would bring the flavors together for an easy yet potent bourbon drink. When talking maraschino cherry syrup, I’m referring to the good stuff. It should flow like molasses and be the color of dark cherries; non of the lurid candy red stuff that comes with the more commonplace maraschino cherries. Try Luxardo or other quality brand. It will cost a little more but it really is worth it. Use your favorite bourbon, but aim for one that is hearty, oaken, and smokey. I used a Woodford Reserve bourbon for this cocktail and it was perfect! 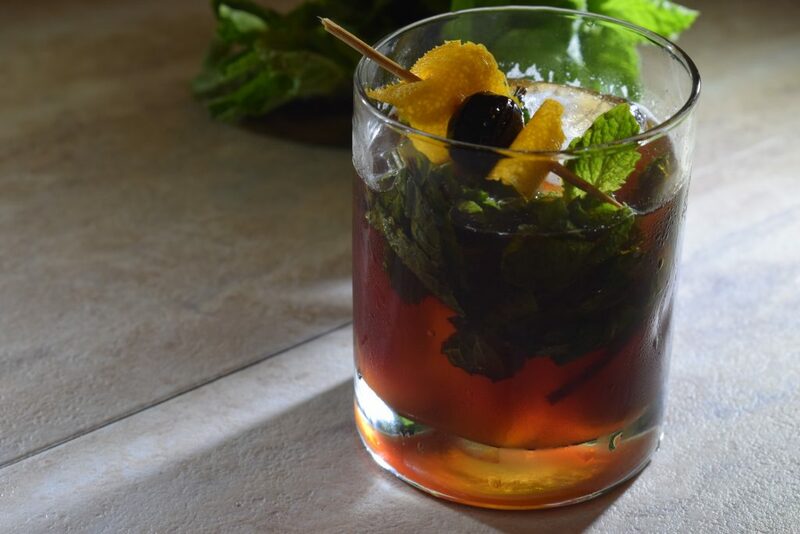 A smooth, fresh bourbon cocktail to enjoy while grilling or just chillin’ on this holiday weekend.